For a nothing less than incredibly stylish ensemble, consider teaming a grey wool blazer with black dress pants. For a more relaxed take, throw in a pair of Gucci black leather loafer with tassels. This combination of a grey raincoat and black chinos combines comfort and efficiency and allows you to keep it simple yet current. 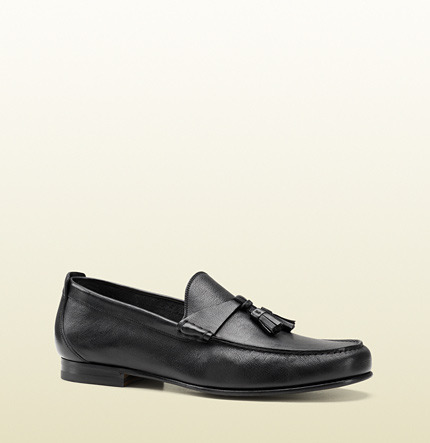 Make Gucci black leather loafer with tassels your footwear choice to show your sartorial savvy. 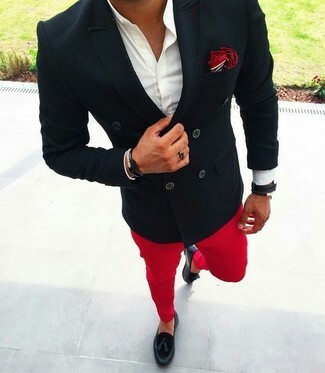 If you're searching for a casual yet seriously stylish ensemble, wear a red blazer with black skinny jeans. Both items are totally comfortable and will look great together. Channel your inner Ryan Gosling and choose a pair of Gucci black leather loafer with tassels to class up your look. 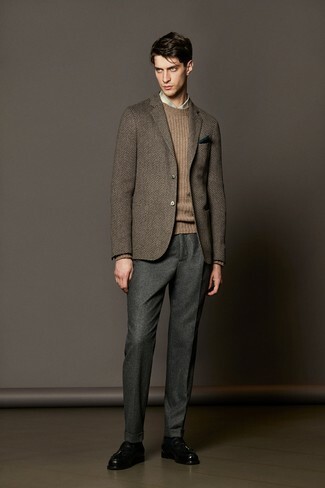 Try pairing a brown herringbone wool blazer with grey wool dress pants for incredibly stylish attire. For something more on the daring side to complete this outfit, choose a pair of Gucci black leather loafer with tassels. 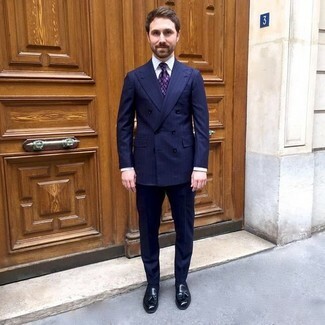 Marry a navy vertical striped double breasted blazer with navy vertical striped dress pants for a sharp, fashionable look. Gucci black leather loafer with tassels will deliver a casual vibe to your ensemble. 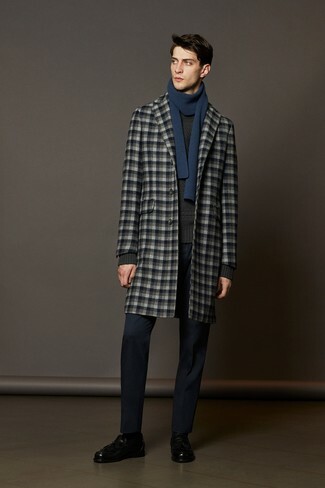 For a nothing less than incredibly stylish getup, pair a grey check overcoat with navy dress pants. Go for a pair of Gucci black leather loafer with tassels to make the look current. 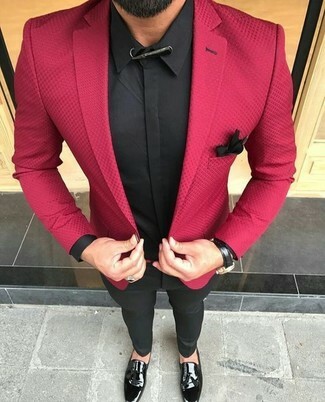 For a casually elegant ensemble, team a black double breasted blazer with red chinos — these two items go perfectly well together. When it comes to footwear, this ensemble is complemented wonderfully with Gucci black leather loafer with tassels from Gucci. A black dress shirt and grey wool dress pants are a seriously smart ensemble to try. Feeling adventerous? Dress down your ensemble by slipping into a pair of Gucci Black Leather Loafer With Tassels. 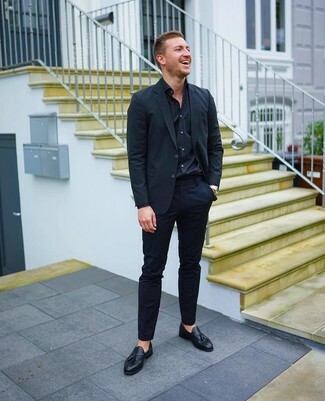 For a smart casual ensemble, try pairing a black blazer with black chinos — these two items the workplace nicely together. Up the cool of your outfit by wearing Gucci black leather loafer with tassels from Gucci.